As I readjust to life after our massive and awesome New York trip, I'm having a very hard time staying on schedule. I'm blogging and posting videos at strange times, nearly forgetting about Question Tuesday... I don't even know who I am anymore! 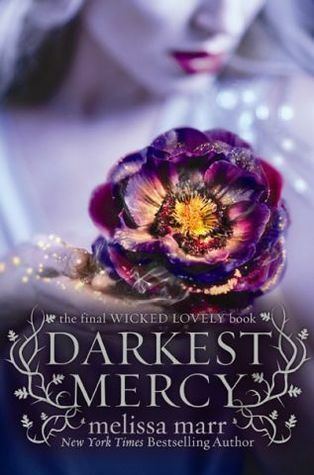 To make up for my shameful shenanigans, I offer up delicious words via a signed copy of Darkest Mercy by Melissa Marr. Step 1: Go find @melissa_marr on twitter. Step 2: Say something nice to her. Step 3: Tell me you did that in the comments below. Aaaand that's it! East enough right? And I will be creeping about making sure you were nice to Melissa, so no cheaters! Also, this is only open to US residents. Sorry, everyone else in the world.